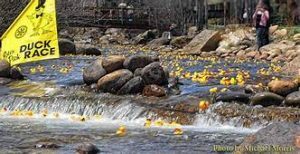 Join us at the 2019 Estes Park Duck Race on Saturday, May 4th, 2019! You can support BTWC by adopting ducks and selecting BTWC as the non-profit on the adoption forms here. Select “Big T Watershed Coalition” or “Big Thompson Watershed Coalition” as your charity of choice at checkout. BTWC needs to successfully adopt a minimum of 20 ducks to be eligible for event proceeds! If we succeed, $19 of each duck adoption will support our work in watershed conservation and community resilience building along the Big T River. Each duck adoptions puts you in the running for a variety of prizes that will meet anyone’s outdoor and Colorado lifestyle interests! 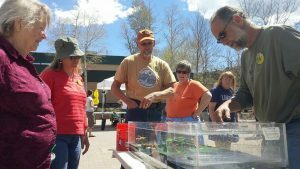 Come say “hello” to our staff and board members at the event – BTWC will have a table at the event where you can check out our floodplain simulator and learn more about how floodplains work during flood events.